The Company behind 3D interior representations of the new U.S. Head of State aircraft ‘Air Force One’, and its helicopter sibling ‘Marine One’ is experiencing demand from airlines for interior modelling services. Miami-based virtual reality studio 3D Viz has become a specialist in rendering VIP aircraft interiors ahead of completion projects – and now wants to expand this activity to the commercial aviation sector. As reported by FlightGlobal, the companies president Juan Pablo Magnano told FlightGlobal at the Aircraft Interiors Expo on 3 April that 3D Viz has been involved in the completion of the Dutch royal family’s Boeing BBJ 737, alongside other VIP projects for customers in the Middle East, and the U.S. Head of State design projects. 3D Viz president Magnano expects about half of the company’s commercial aviation business to be generated by airline cabin retrofit programmes, with the balance to come from line-fit projects as carriers aim to differentiate their aircraft from competitors. 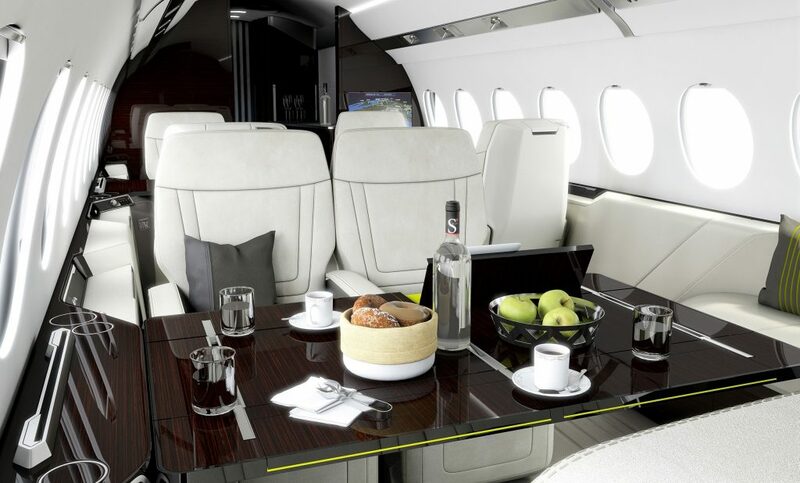 The traditional method for customers purchasing a custom VIP aircraft interior would be to pay for a physical mock-up of the interior in order to visualize the space; along with design renders to provide design context to the mock-up – and selection of colors, fabrics and materials. The mock-up would be in most cases manufactured out of wood to size and painted in white (but not in all cases) – you can imagine the space required for a widebody aircraft such as for an aircraft the Boeing 747, 777, or the Airbus A330 to assemble such interior spaces. However, as technology significantly developed over the past 5-10 years, and certainly since the likes of the last Air Force Once were designed and completed we now ask clients if they wouldn’t mind wearing a headset as they walk, or even ‘fly’ through their aircraft interior and visualize the whole computer-generated interior as if completed. This provides clients a fully immersive experience which in-turn benefits by feeding more advanced and concise design conversation during the upfront design process. The benefits don’t stop there, they are in fact several fold; ranging from a client that is fully bought into his or her requirements and the final design selection, to in-turn the information feeding better completion contracts and all-party agreement and buy-in to final design. Due to the advancement in design detail and space, completion contracts can be more descriptively concise in referencing specification – and very importantly for a successful completion project we can also achieve a selected completion center, client, designer and owner representative project team that are all bought into the final design concept, since it is much more visual and removes much of the assumption through interpretation of design. By improving design to a more concise upfront specification and agreement of contract provides a further benefit post contract signature and that is the reduction in change. There are two categories of change; customer born change and contractor change. Contractor change (completion center and their subcontractors) through rework, or methodology requirements in order to manufacture and install the interior components, monuments, materials and equipment. Clients who are ether forced to, or willingly change their mind about part, or the whole interior design concept. Change negatively impacts a project, and not just in the completion industry, but any project through time delay, and cost increases – unless of course a significant opportunity can be capitalized upon. Therefore, by driving more concise upfront design and achieving all party buy-in 3D design visualization significantly reduces opportunity for misinterpretation during manufacture and completion, and in-turn the reduction of change which can only assist projects being delivered on-time, to specification and budget. 3D modelling and visualization is therefore benefiting the completion industry in many ways and leads for much happier clients who are bought into the design and expectantly await their completed custom aircraft from the completion center. Airlines can benefit in much the same way and many of us would welcome innovation in the commercial cabin as we make those long-haul flights on vacation or business to deliver more custom jet aircraft for clients!